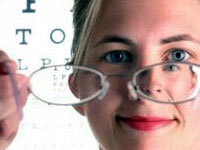 Prescription eyeglasses as the name suggests are the ones prescribed by an ophthalmologist or optometrist. These glasses are designed keeping in mind the eyes of an individual. For instance eyeglasses made to correct the blurred vision due to refractive errors etc. An optometrist makes use of instruments such as phoropter or an automated refractor in order to examine or test the eyes of a person and determine the kind of sunglasses suitable for him. From these prescription glasses, are born prescription sunglasses. All a person needs to do is shop for a frame, add a lens to it according to the prescription and then choose the best lens tints and coatings as per his fantasy. Prescription sunglasses are a boon for people with defective vision. These glasses do not just protect a person's eyes from harmful ultraviolet rays, glare and other toxic particles in the air but also enable him see to see correctly. The prescription sunglasses can be conveniently worn outdoors. They save people from the trouble of putting sunglass clip-ons or put contact lenses while skiing, on beach and doing other activities. How are Prescription Sunglasses made? Basically, the prescription sunshades differ from the non-prescriptive ones in case of lens. The prescription sunglasses are available with prescription lenses that are produced and manufactured in a way to include all the customary characteristics of a prescription lens. Prescription sunglasses can be made with single vision, bifocal or progressive lenses (also known as tri-focal lenses with no visible lines). In this the lens material as well as the color can vary from person to person. Similarly the type of lens is also at the discretion of the person. For instance an individual might prefer a high resin and high index lens that can be easily tinted to any color and tint density while other may go with a polycarbonate lens that cannot be easily tinted. Whereas the frames are concerned, all the designer and celebrity options are open for the prescription glasses. The prescription lenses can be fitted in any trendy frame to complement your attire and over all personality. For instance Penny and Oakley frames accept prescription lenses very well. In order for a frame to accept prescription lens, it should be RXable. Usually the lower quality sunglass frames are non-RXable i.e. they are not designed to hold a prescription lens. Gone are the days when prescription eyewear was considered a sad story. With the advent of stylish prescription goggles, people with defective vision have taken a breath of relief and the sunglass market has experienced a significant boom. Now the prescription sunshades in cool and innovative styles are in great demand for they are not just an accessory needed to rectify vision but are also a perfect means to protect your eyes from sunlight and even act as fashion statement. In fact these unlike normal sunglasses, the prescriptive ones are multipurpose.